The IAPC&M respect and are happy to collaborate with other professionals who are proving to be a force for good in our industry. PriceWaterhouseCoopers Nov. 18’ reported that the coaching industry was the 2nd fastest growing industry in the world. The International Authority for Professional Coaching & Mentoring (IAPC&M) have been the AUTHORITY ON ACCREDITATION FOR OVER 15 YEARS and so remain the global industry leader – after all, accreditation is all the IAPC&M do, having no courses to plug and no shareholders to answer to. This means the IAPC&M is 100% focused on accrediting the best and ONLY awards accreditation to properly trained and experienced coaches/mentors (insurance is highly recommended) who are demonstrating best practice (backed up with testimonials); on-going logged and recorded CPD (log available) and of course are commitment to protecting the end user – the paying public – by signing our Professional Code of Conduct. 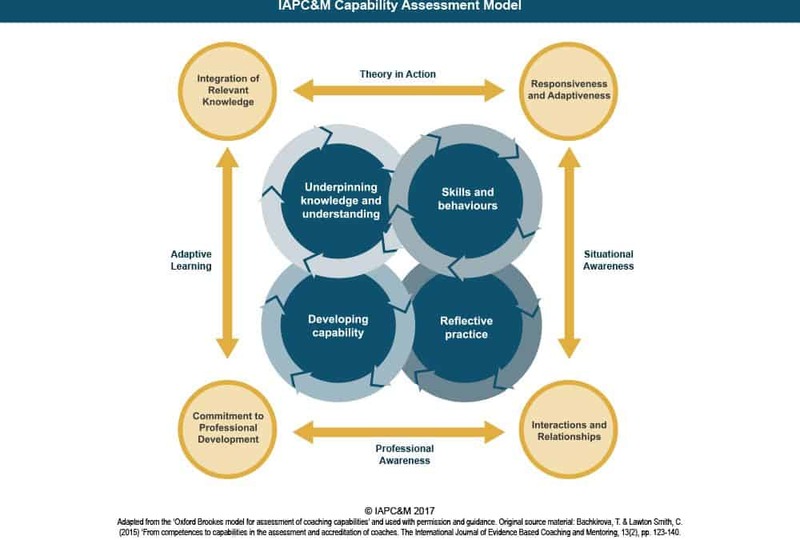 Expanding on the Oxford Brooks University capabilities model, the IAPC&M assess capabilities, a far superior and more accurate method of assessment compared to the old competencies model. Applicants are also interviewed to ensure the highest possible industry standards, knowledge and skills are being delivered. Accreditation is maintained annually, and reassessed every three years. When you become successfully accredited it deserves acknowledgement. Consequently, you have permission to promote the IAPC&M trusted logo and certificate to help the public identify you as best in class, or as we like to call it, the 1% club. The IACP&M and its growing database of international practitioners continue to work hard to keep and maintain the trust and confidence of the public because we believe EVERYONE matters – join us here https://coach-accreditation.services/apply-today/ if you want to prove you care and value the difference this makes when developing a database of relational clients, rather than transactional customers, because we’re in in for the long haul and are going from strength to strength. * Sasha Corporation. (2019). The 2019 executive coaching survey. Cincinnati, OH: Sasha Corporation.